Flash AV Software Corp. has wrapper component for the native Android mediaplayer component which implements hardware decoding in Delphi XE7 Firemonkey. This component has a smaller footprint that using their FFMPEG component because you don’t have to distribute the FFMPEG library with it. The drawbacks to using it are it does not work on all Android hardware as not all devices are able to do the OpenGL texture rendering that it uses and it only handles a limited number of media formats. You can however render a video on a Firemonkey 3D object surface (with for example TForm3D) and customize the GUI of the video player. This is a commercial component wrapper but there is a free trial available. Obviously it is only for Android as it uses the native Android Java mediaplayer. It also talks about a performance comparison between FFMPEG and this native media component wrapper. Basically using this wrapper you can achieve 30 frames per second but FFMPEG is only able to achieve 10.5 frames per second. I would say you could using this component and then if it is not supported you could fall back to the FFMPEG component. This component should also work with Appmethod and C++Builder. 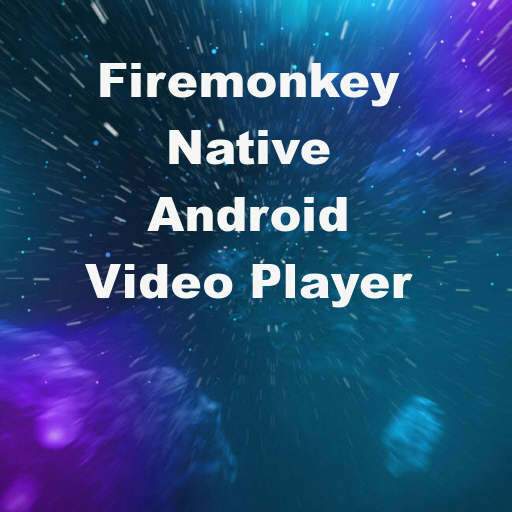 Head over and check out the full feature list of the Android media player Java wrapper component for Delphi XE7 Firemonkey.